ABB, a leading technology company, said its new shore-to-ship technology minimises environmental impact and secures reliable electricity to Her Majesty’s Naval Base (HMNB) Portsmouth in the UK. 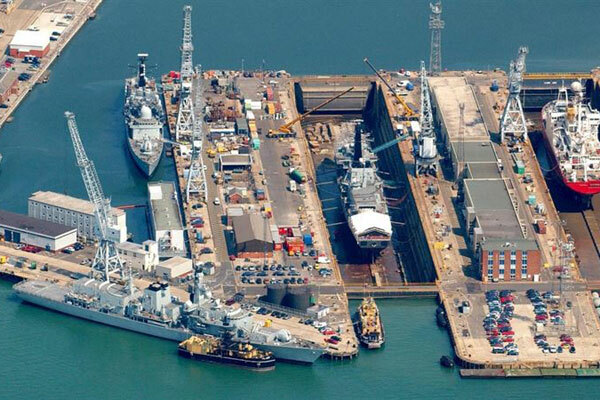 The naval base in Portsmouth is spread over 150 hectares, with 10 km of waterfront, and is home to almost two-thirds of the Royal Navy’s surface fleet, including frigates, vessels, the Fishery Protection Squadron and the Queen Elizabeth Class aircraft carriers, said a statement from the company. Now BAE systems, the contractor responsible for the dockyard electrical systems, is installing ABB´s new shore-to-ship power solution to energise high power consumption vessels in a pioneering project, it said. Port operators in different parts of the world are adopting shore-to-ship power connections that enable berthed vessels to shut down their diesel engines and plug in to the port-side network to power their onboard loads. This offers a number of benefits, including saving fuel costs, cutting emissions and reducing the impact of noise and vibration on the local environment, it added. ABB responded by developing a new solution based on medium voltage static frequency conversion (SFC) technology. Unlike the RFC, the SFC has no moving parts, apart from its cooling fans, ensuring a high level of reliability with minimum maintenance requirements. Lower costs per MVA, proven technology and higher SFC efficiency (over 98 per cent) allow a clear reduction in the total cost of ownership for end users, allowing savings of up to 25 per cent.